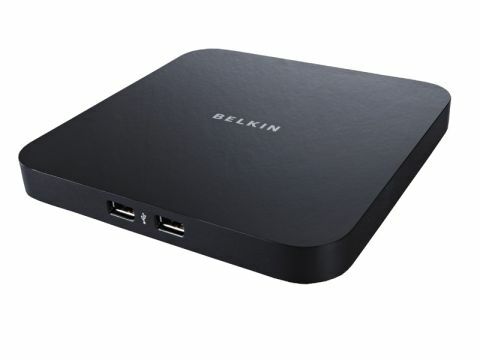 Plugging directly into any ol' router, the Belkin Network USB hub allows you to access any ol' USB device plugged into it from anywhere on your network. If multiple users are on there wanting to use the device, you can easily send a usage request through the hub's software; unfortunately, two people can't use the same device at any one time. In a home network this is unlikely to be a problem: a message shows up in the bottom left of the screen and, depending on how beneﬁcent you're feeling, switching users is a simple enough matter. It's when the network USB hub is plugged into a wireless router that it really impresses.